Honda cars and trucks are quality vehicles that deserve quality care. This is why we offer first-class Honda service and repair in Greenwood, Indiana. No matter which year and model Honda you own, our NAPA® authorized auto care center is equipped to provide a wide range of services for all models, including everything from routine car maintenance to Honda repair. So whether you have a Honda CRV or a Honda Accord, our mechanics retain the knowledge and resources needed to keep it running at optimal levels for years to come. 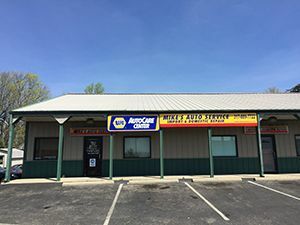 Aside from being the most competitively-priced auto repair shop in Greenwood, we ensure our client’s complete satisfaction by using NAPA® and OEM auto parts that come with a reliable 12 month warranty. You can trust that your vehicle is safe and ready to hit the road after it leaves our garage! When you call Mike’s Auto Service, you can expect a prompt greeting from a courteous office attendant who is ready to help you find the answers to your Honda repair service questions. Our work ethic and integrity has earned us a reputation for honest and proficient auto repair service, so you can rest assure knowing that your Honda is in trustworthy and qualified hands. We use a concentrated approach to inspect and diagnose issues with your vehicle, so that we can reverse the issue properly the first time. If you suspect you might need Honda repair, or simply think it may be time for some routine Honda maintenance, call our office at 317-889-7722 to schedule an appointment today.